The ‘I can have it all’ mindset spreads to those you love! There are so many things that we just talk about or dream about, but we don’t actually take seriously. For instance, my dad – who wanted to be a professional golf player – spent a lot of time talking about it and dreaming about it, but he wasn’t really serious about going after what he wanted. If he had been, I guarantee he would have at least tried to go professional (and he totally would have made it, by the way). You need to get serious about having it all. You can’t just hope and wish. Being serious will help you discover what you need to do to have it all and then take action and strive towards the life you want. It will keep you committed. Having it all doesn’t just mean you make a good income. It means you are killing it in every area of your life. One thing I’ve learned through many personal development courses is that every area of your life affects the next. For instance, your happiness in a relationship can affect your productivity at work. Or, your mental health can affect your physical health. Or, your experiences can affect your personal growth and your personal growth can affect your business. It’s all interlinked, and each area of your life is just as important as the next. This affirmation will help you to work on areas of your life that may be lacking and not just on areas of your life that you think are most important. 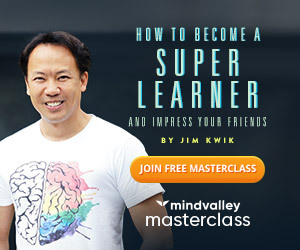 Note: I recommend taking this free Masterclass by Jon Butcher to gain insight into some important areas of your life that you may not be focusing on. Jon has created an incredible life, and he teaches other people to do the same in all areas. In other words, he can teach you how to have it all! Sometimes we get caught up in trying to be like someone else or thinking we should be like someone else, and that bogs us down from having it all! This affirmation is a big reminder that your version of having it all will not replicate your sister’s, spouse’s, or friend’s version of having it all. We all want different things – and no one is more right than anyone else. For instance, just because everyone in your family thinks that marriage and kids means having it all, doesn’t mean it’s what you should pursue. It may be fulfilling for them, but if your vision of having it all looks like travel, experience, and freedom, then marriage and kids may not be something that appeals to you. This is why it’s important to sit down and get clear about what you want to do with your life and what you want to have. Get detailed. Dig into each area of your life – relationships, health, finances, experiences, career, etc. What does having it all look like to you? Keep this vision and affirmation handy when people challenge you about what’s right and what’s not. If you want it all, you must enjoy putting in the work required. You can’t just sit back on your couch and wait for ‘it all’ to drop into your lap. You need to put in the work to make it happen. Doing is what gets you results in life. The good news is that as you put in the work, you develop systems and processes that help make the work easier, and eventually you will have enough systems in your life that getting what you want will be easier than ever before. The other good news is there are plenty of people out there who have it all in various areas, and they can help you understand what you need to do in your daily life. This is why I recommended the Jon Butcher class. He was instrumental in helping me see my life differently and develop habits and systems that consistently move me towards what I want. Most of us push down the thoughts of wanting more because it’s painful. We want more, but we know that we have to go to work, come home and take care of the house, and then at the end of the day we are too tired to do anything… so we think we can’t have more. But that’s not the case. We just need to figure out what we want and start taking steps towards what we want, even if they are small steps. You can’t reach what you want without taking steps. You can’t get from A to Z without going through B, C, D, etc. Remember that as you come up with daily tasks that will help move you towards having it all. Those tasks are all important because they build upon each other and help elevate you higher and higher – step by step – brick by brick. No matter what, you are not going to have it all within a day. It could take weeks, months, or years. So, this affirmation will help you focus on what needs to be done today to eventually get it all. But when you live day to day, you focus on what needs to get done today and don’t give overwhelmed with how much further you might need to go.